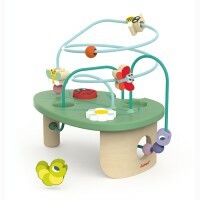 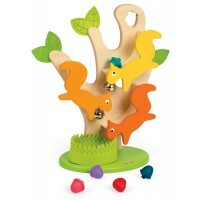 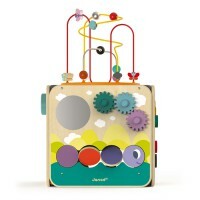 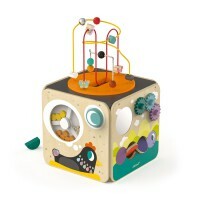 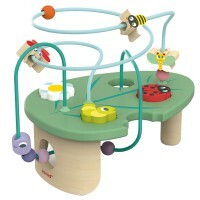 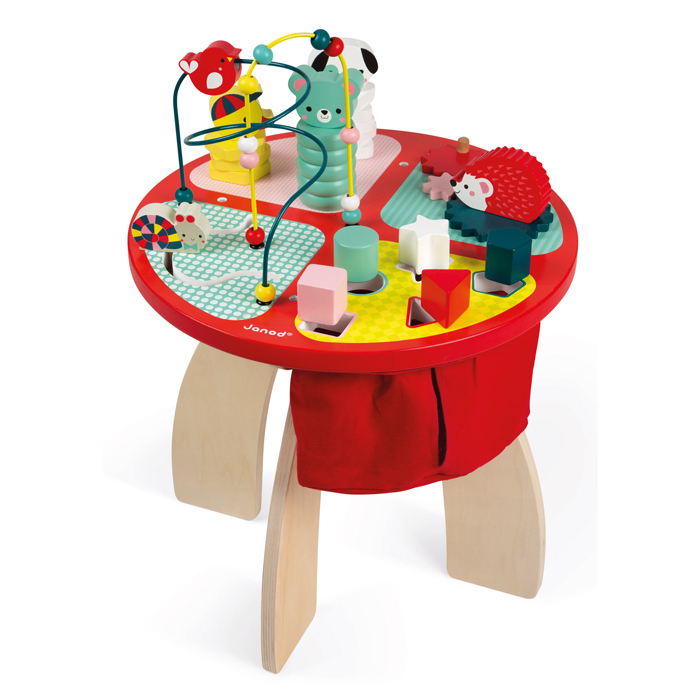 The Forest Activity Table is a vibrantly coloured multi-activity table with 4 different areas! 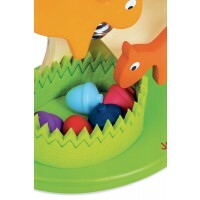 Three stackable animals, each stacking in a different way for coordination - just slot, screw or turn. 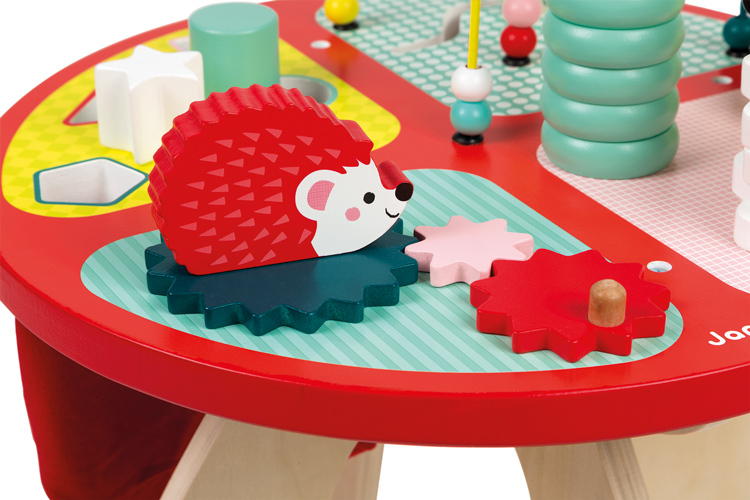 A snail maze to develop dexterity and a 4-wheel cog system with a porcupine on top to help turn the gears. 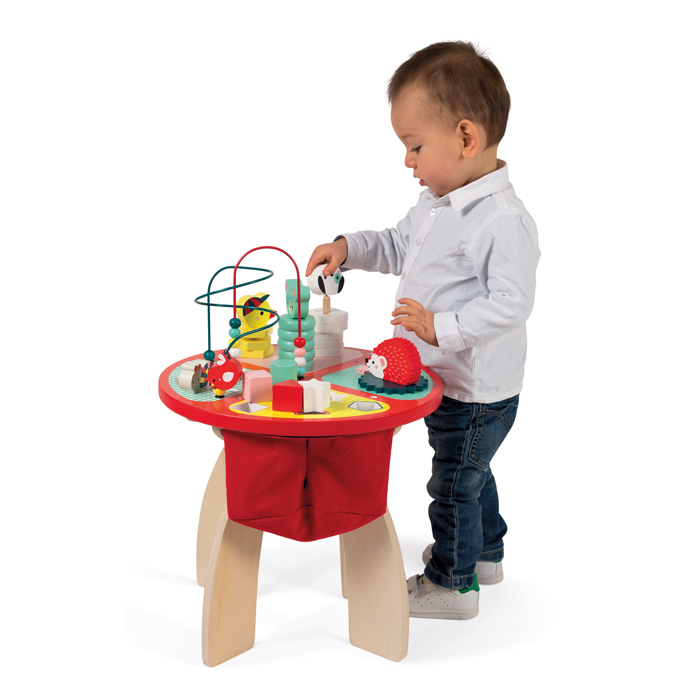 The 5 piece shape sorter assists in the learning of shapes and colours with a fabric pouch for the pieces to fall into, and a looping toy to develop concentration and motor skills. 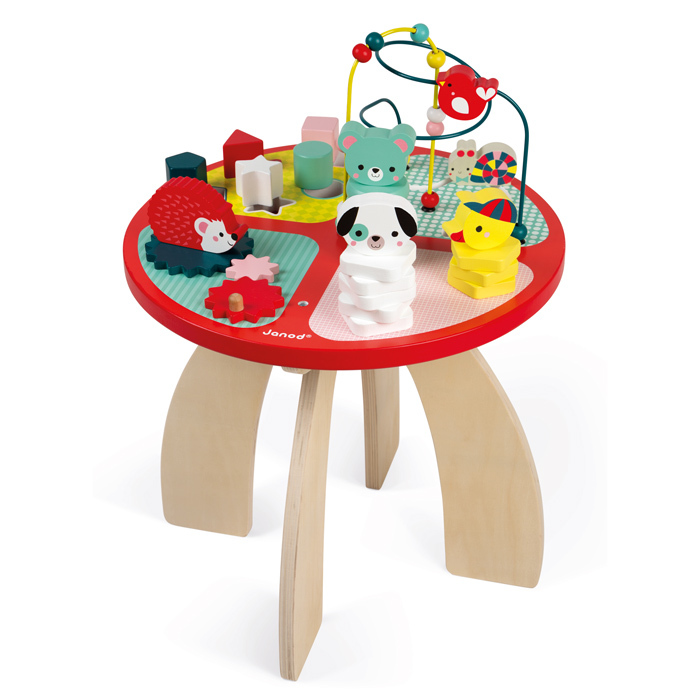 The height of the table is 37 cm, a perfect height for the littlies to either sit or stand. 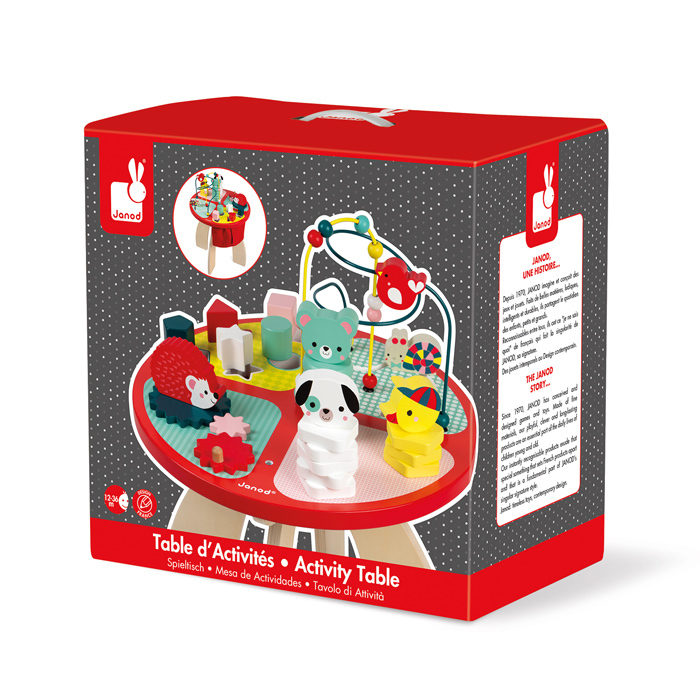 Keep them occupied and let them learn all at once!